If you end up in Frankfurt, you won’t be at a loss for what to do next. Busy shopping streets, interesting museums and an overall pleasant ambience. 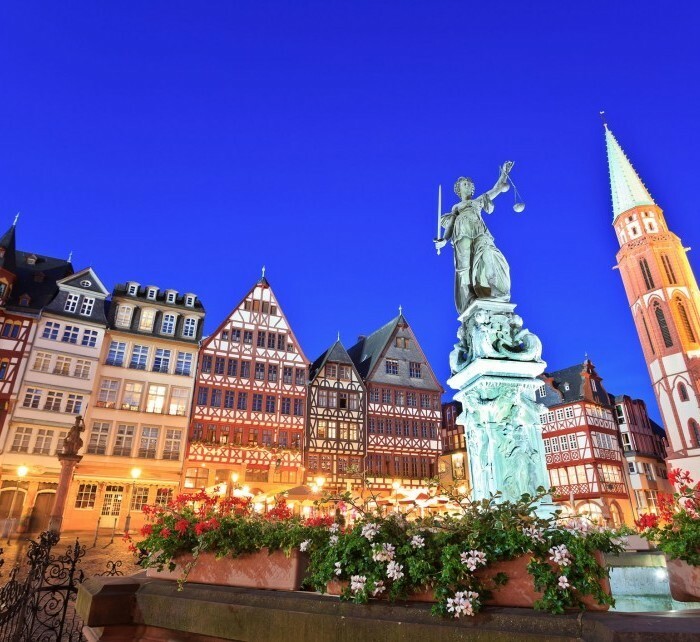 Frankfurt, also known as Bankfurt, is the home of the European Central Bank, German Federal Bank and stock exchange, as well as a few hundred other banks. Take some time away from the financial centre of the city for a stroll through the relaxing Nordend and Bockenheim neighbourhoods. Book cheap flights from Warsaw to Frankfurt with Flysiesta.pl. We offer low cost airlines tickets such as Wizzair, Ryanair as well as traditional airlines tickets. The informational table of direct flights contains the information about the cheap direct flights from Warsaw to Frankfurt organized by the airlines. The flight schedules of the airlines help to plan a trip in a easy way and find the cheapest flight from Warsaw to Frankfurt. Knowing the low cost airlines‘ schedule from Warsaw to Frankfurt, you may perform a more detailed search for the cheapest flights. While selecting the flight, Flysiesta.pl suggests paying attention to the flight schedules of the low cost airlines such as Ryanair and Wizzair. Normally, the low cost flight airlines operate low cost flights on business days; therefore, while searching for the cheap flight tickets, it is important to select the flights operated in the beginning and end of week. To obtain the cheapest flight tickets, it is recommended to book them not later than 6-8 weeks until the date of flight with the low cost airlines.